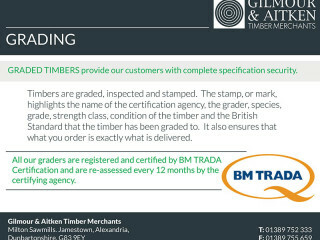 Gilmour & Aitken are pleased to offer new lines of natural edged timbers for table tops & shelving. 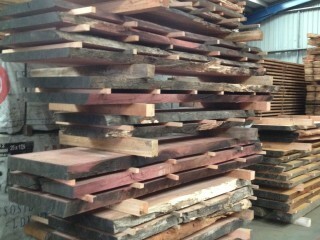 Available currently in Purpleheart, Opepe and Oak hardwoods. 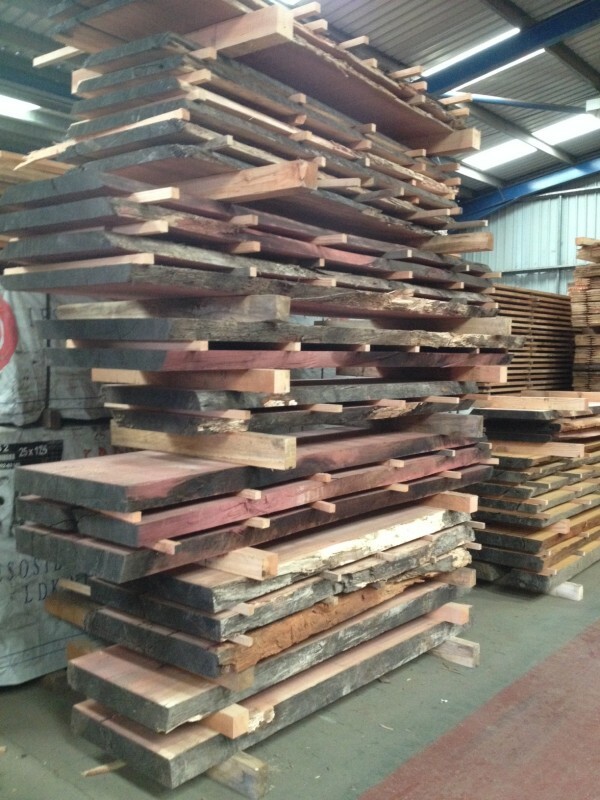 These rough sawn timbers are suitable for either outside or indoor use. Lengths – Current stock is 6ft. 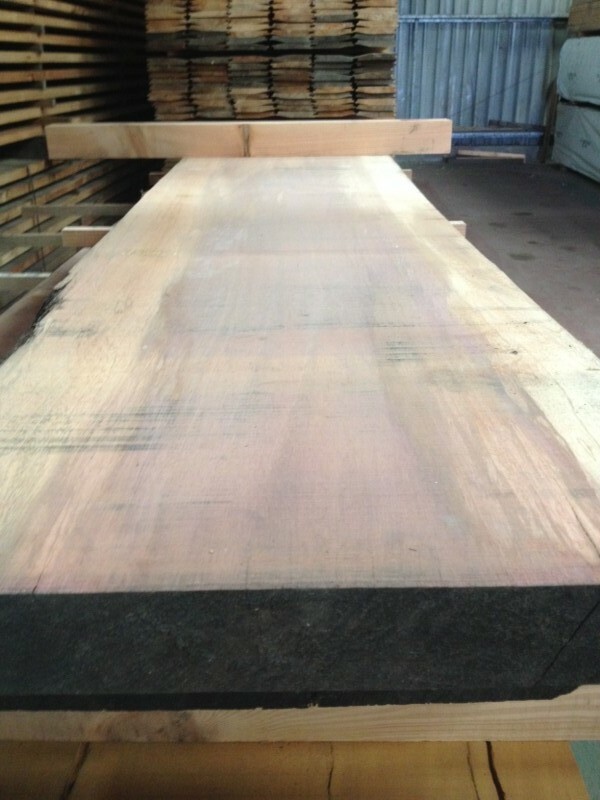 Each log cut will provide variations in lengths. Thicknesses – ranging from 1” to 4”. These are cut from log so there is a natural edge (waney edge) to both sides of the board. 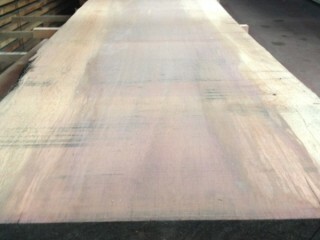 Cut from European natural edge oak. 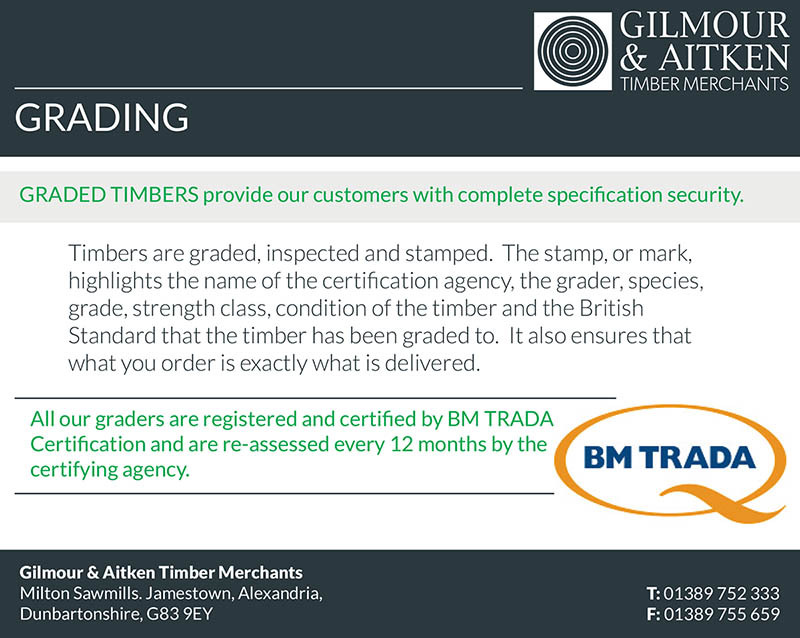 Thicknesses range from 1” to 2.5” depending on demand. Also available in straight edge oak. The oak shelving in the thicker dimensions are great for fireplace mantels. Also available in straight edge. This entry was posted in Trade Centre on July 27, 2016 by admin.